"You Can't Live With Them, You Can't Live Without Them" is a true saying. 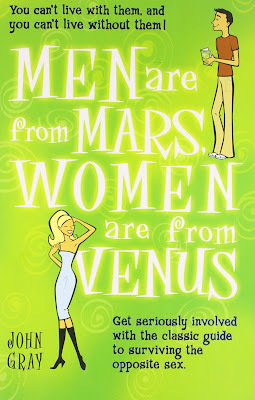 The book helps the men to understand the inner working of a woman and vice versa. The emotions and expressions of men and women are different from each other. The book explains the reactions of women when she is in problem and on the other hand, how or why men suppress their emotions. This phenomenal book has helped men and women realize how different they really are and how to communicate their needs in such a way that conflict doesn't arise and intimacy is given every chance to grow. Build lasting, loving male-female relationships. Communicate difficult feelings. Avoid the pain of argument. Understand your partner, colleagues or friends better than ever before.